The seat is a luxurious addition to extend the life of your Classica Pram. 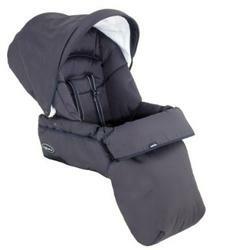 Coordinated stroller seat is comfortably padded to pamper baby. There are 4 comfortable positions to accommodate baby or child's needs. Boot cover is included. Stroller frame sole separately.